Employer branding is optimized for candidate interaction. Create template-based or custom designed career sites, job ad campaign landing pages, mobile-friendly job application forms, mobile career sites. A fully featured cloud career site software. Candidate-friendly mobile apply, real time job alerts. 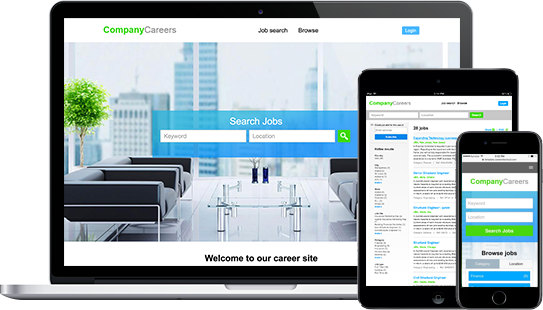 Standalone employer branded career site, or career pages integrated with corporate website. Automatic job posting and resume database. Your website is successfully created! White label career site platform. Agency branded solutions.